Drug Alcohol Treatment Center Orange County - Blog: Thinking About A Career In Addiction Science? Thinking About A Career In Addiction Science? It might be fair to say that there has never been a time in American history when there has been a greater need for people working in the field of addiction. On top of the prescription opioid painkiller and heroin epidemic ravaging both urban and rural America, the use of other mind altering substances is alarming—especially when it comes to young adults. Now, one might be inclined to think that the use of drugs and alcohol would be a more common trend among young people not in college. 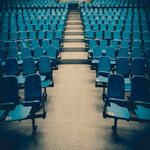 While in certain instances that may be the case, those attending college out-used non those who were not enrolled in an institute of higher learning in number of areas, according to data from the most recent Monitoring the Future (MTF) survey. More students use marijuana daily, compared to alcohol. College students use the stimulant Adderall more than their non-college peers. Cocaine use among college students nearly double, from the year before. College students binge drink more than those not enrolled in school. Students were drunk more often than their peers not attending college. While drug and alcohol use is oft considered to be a part of campus life, such behaviors can be a slippery slope leading down a path towards addiction. It is important that colleges use the MTF data for determining where prevention efforts are needed the most. What’s more, with addiction rates in certain areas at staggering levels among young people, there should be a push among colleges to inform students about the opportunities in the field of both addiction medicine and recovery. Let’s face it, addiction has been around a lot longer than anyone alive today, and it stands to reason that it will be around for generations to come. However, the more people who are competent and able to work in the field of addiction, the greater number of people who can be helped. If you are interested in pursuing a career in the field of addiction science, we encourage you take a look at a comprehensive list of more than 40 undergraduate and graduate programs in addiction studies. The list was compiled by the National Institute on Drug Abuse (NIDA).